Calvary Women’s Services has announced that the 12th Annual Hope Awards Dinner will be May 14, 2013 – and you won’t want to miss it! The Hope Awards honor individuals whose volunteer or professional work has made a difference in our community. In the past we’ve honored outstanding members of our community including Phyllis Caldwell, Diane Rehm, Sheila C. Johnson, Gwen Ifill, Michel Martin, Police Chief Cathy Lanier, and JC Hayward. Last year Sandra Evers-Manly and Katie Couric both received the Calvary Hope Award—we’ll be announcing this year’s honorees in the next few weeks. As always, the event will also celebrate the achievements of women who have moved from Calvary’s programs into homes of their own. You’ll hear the inspiring stories of women who have changed their lives and moved out of homelessness. Donations for the silent auction have even begun to roll in! So far, you have a chance to win a vacation to Hilton Head Island, as well as gift baskets, dance classes, and weekend getaways to the Shenandoah Valley and Lake Anna. Many more fun vacations, cool stuff, and one-of-kind experiences will be added as we move closer to the date. 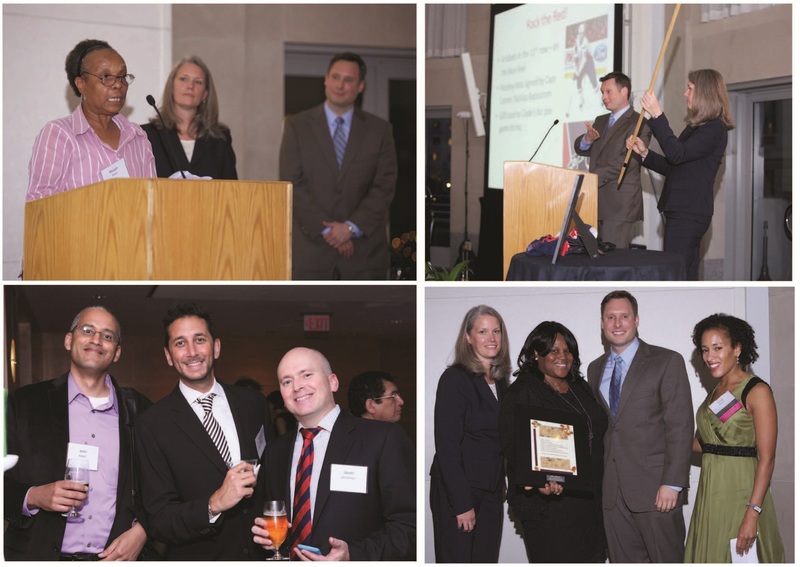 You can read more about last year’s event or browse through more photos from the 2012 Hope Awards Dinner. Or, if you’re interested in getting involved by joining the Host Committee for the event, contact Heather Laing at info@calvaryservices.org. Get your tickets here, http://bit.ly/hope2013 and we’ll see you in May!